New features for the My Disney Experience app! August 31, 2017 Upon A Star Travel & Concierge . A redesigned version of the My Disney Experience app has recently been launched with new features that will give you easier access to all of your vacation plans! 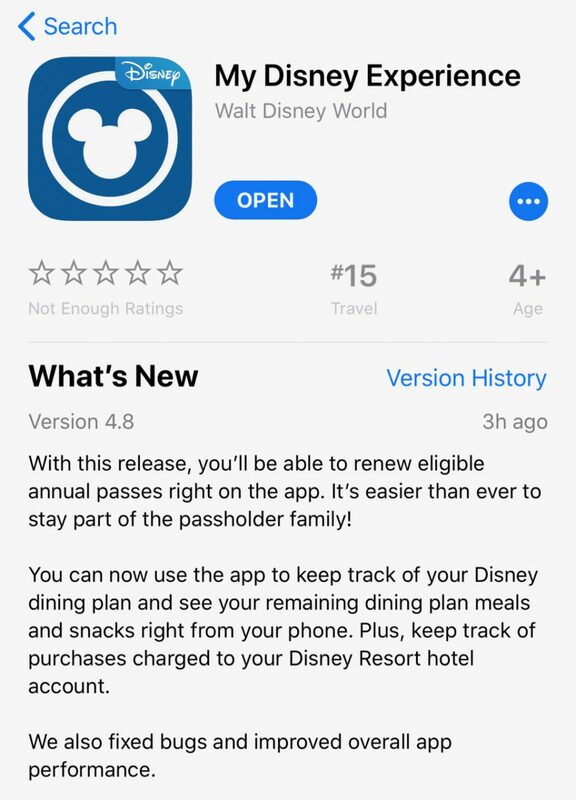 As a guest on Disney property, you can now use the app to keep track of your Disney dining plan credits to see how many meals and snacks remain in your account! 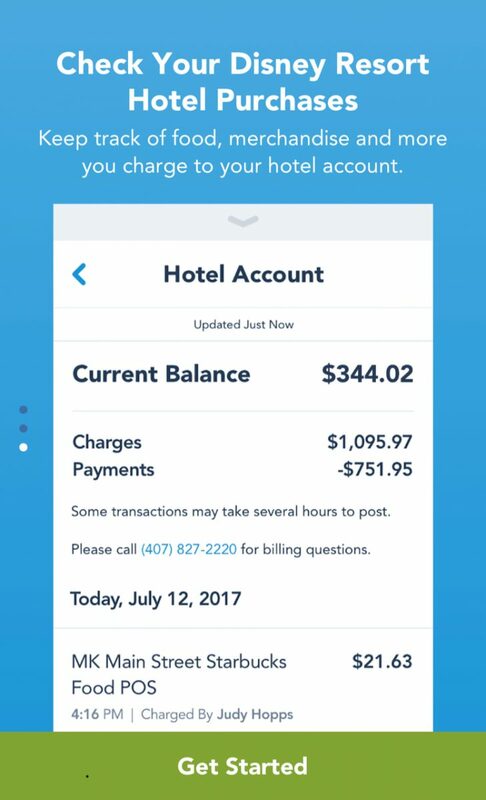 Plus, you can also keep track of purchases charged to your Disney Resort hotel account, right from your mobile device! This recent update to My Disney Experience builds on recently introduced features, including Mobile Order and Online Check-In. Disney always is introducing new ideas to make your Walt Disney Vacation even easier and more relaxing, and we at Upon A Star Travel are very excited about this one! Disney just released the 2018 packages and there are some new changes! Check it out below! Guest under 21 can now choose (1) single serving non-alcoholic beverage (including specialty beverages where offered). Guests who are 21 or older will be able to choose one (1) single serving non-alcoholic beverage (including specialty beverages where offered) or one (1) single serving mixed cocktail, beer, or wine (where offered) within their meal entitlement. Guests 21 and over must show valid ID and alcoholic beverages will only be redeemed with a quick-service or table-service meal entitlement. Only $200 deposit to book your magical trip! Our expert agents can help you plan every aspect of your vacation. Let us help you plan the vacation of your dreams!